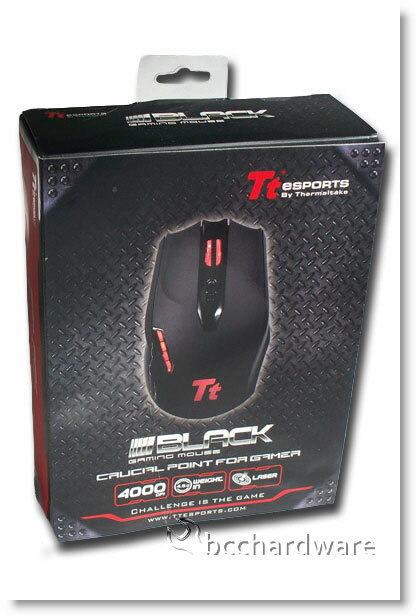 Today we'll be taking a look at the Tt eSPORTS Black gaming mouse. 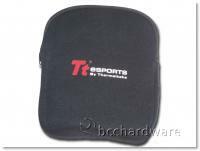 As you know, Thermaltake is well known for its computer cases, high end CPU and GPU cooling systems and power supplies. 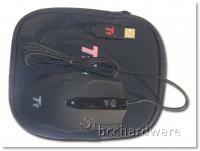 Recently Thermaltake decided to hit the market with high end gaming keyboards, mice, mouse pads and headphones. 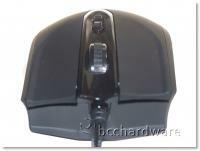 Let's take a look at the new Tt eSPORTS Black gaming mouse. 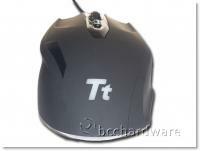 My first impression after removing the Tt eSPORTS Black mouse was "Wow, this is a cool looking mouse". 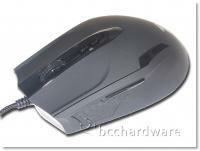 The eSPORTS Black mouse is on the larger side of gaming mice which is good because I have rather large hands and when a mouse is too small my hand can cramp up pretty easily. The eSPORTS Black gaming mouse is absolutely built for gaming. It has a long braided cable so it is much stronger than most, less likely to tangle and also has a gold-plated USB connector. 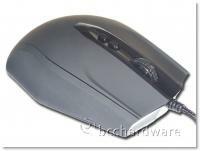 On the next page we'll take a look at how this mouse performs and then draw some conclusions before we wrap things up.